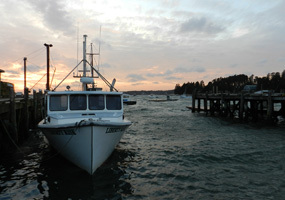 This is a lobster fishing boat on a mooring off of Spruce Head Island. Sometimes the fog is just too thick for the boats to go out. This is where the boats fill up with fuel and bait in the morning. They return with lobsters in the afternoon. 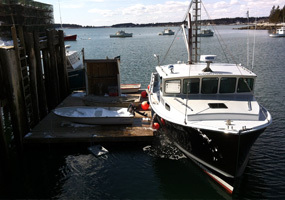 The dock is set up with cranes to lift the lobster crates off the boat. Looking down the pier at Perry's Wharf in Addison, ME. This is considered "Down East" Maine but it's actually North close to the Canada border. 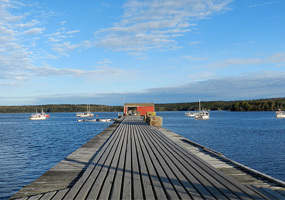 Thousands of lobsters cross this pier every summer. 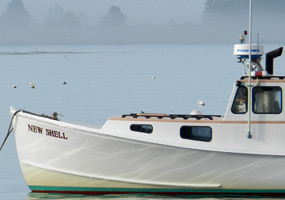 One of Atwood Lobster's smack boats. 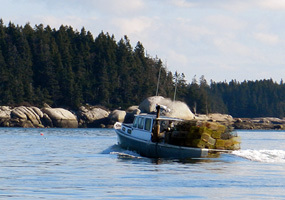 A smack boat is used to transport lobsters from the islands to the mainland. 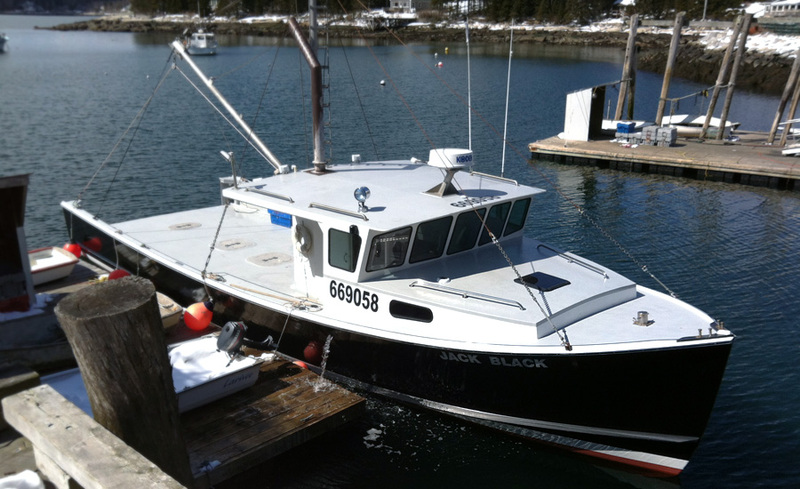 This boat is particularly fast for a large boat to bring lobsters back quickly. This lighthouse was used in a scene from the movie Forrest Gump. 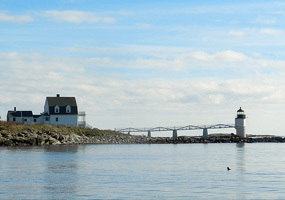 It is located a few miles South of Atwood Lobster and is a great example of the unique lighthouses along the coast of Maine. 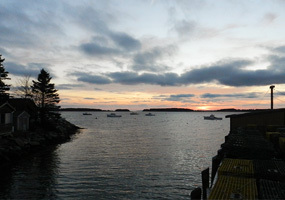 We get some amazing sunsets here at Atwood Lobster during the summer. 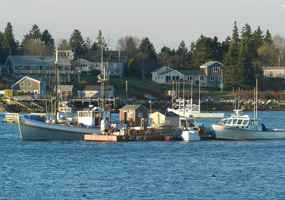 Notice the lobster traps all stacked up on the wharf. Lobster boats resting after a long day at work. Smack boats tie up to floating stations next to the islands. 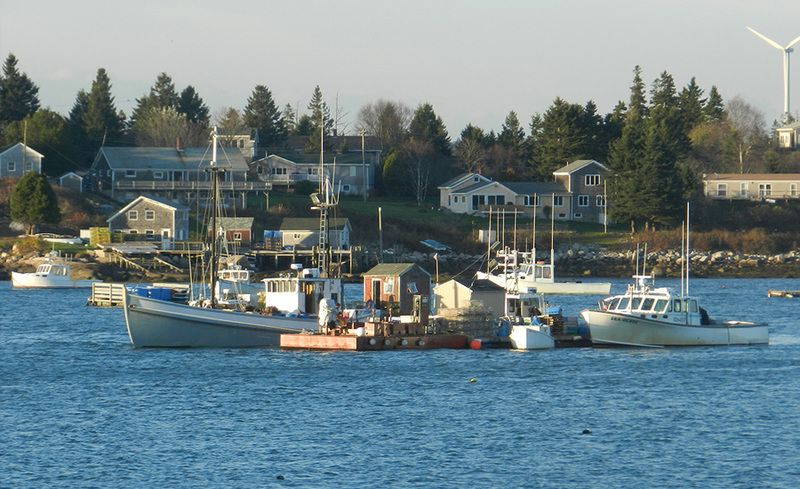 Then lobster boats pull up alongside and sell their lobster and buy fuel and bait. 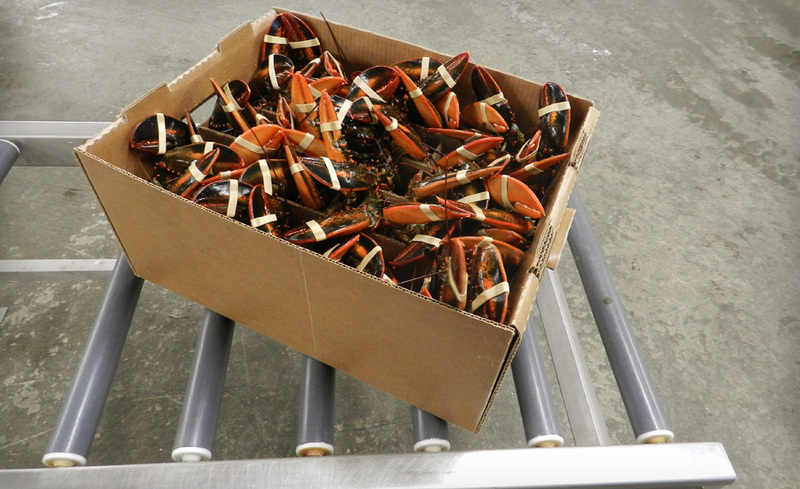 Lobsters in one of our wax slot boxes. 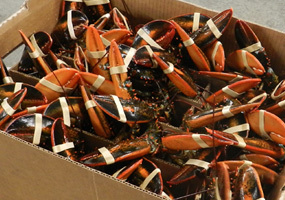 This is how lobsters are typically transported. They would be covered with wet newspaper, ice and a lid. 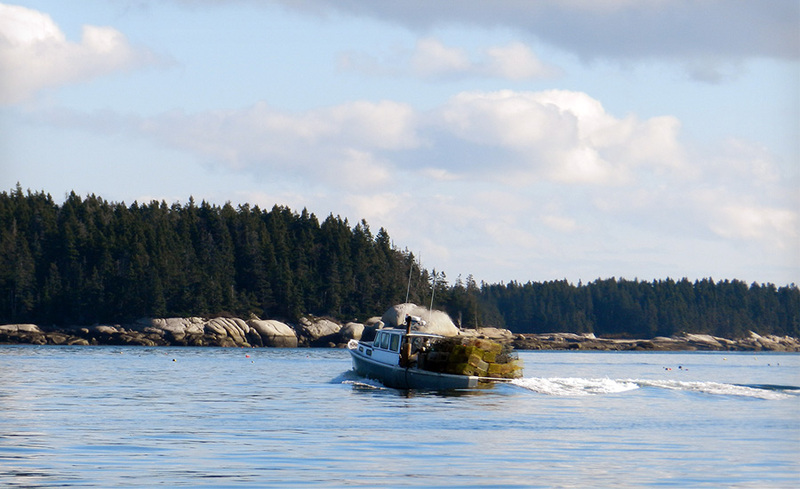 When the season ends, lobstermen pull all of their traps out of the water and bring them to shore. They are then stacked, usually outside their house, until the Spring.